Please read the question carefully and select the answer. Click ‘Next’ to go on to the next question. You can use ‘Next’ button to see the next quiz, the ‘Back’ button to see the previous quiz. To view the list of all questions on the test, please click “Browse the list”. You don't have to work through the questions in the given order- you can skip a question and come back to it later. Use your time strategically! Check your answers one last time and submit the test on the final page. 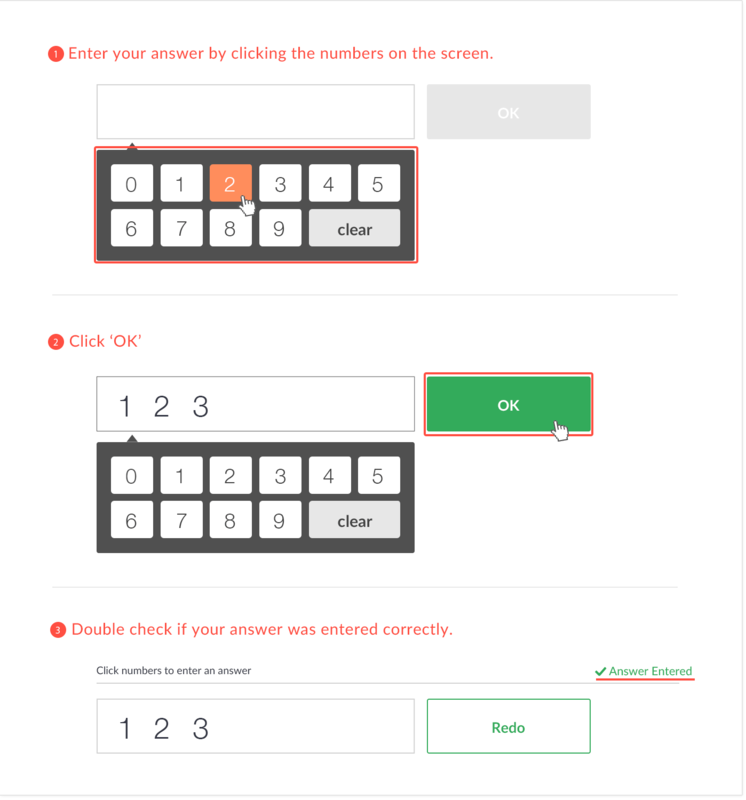 The 'Answer’ button appears on the questions that you have skipped, while the ‘Review’ button appears for the questions that you have already answered. You can finish the test by clicking ‘Submit’. When you try to close the browser window or tab, a dialogue window will pop up. 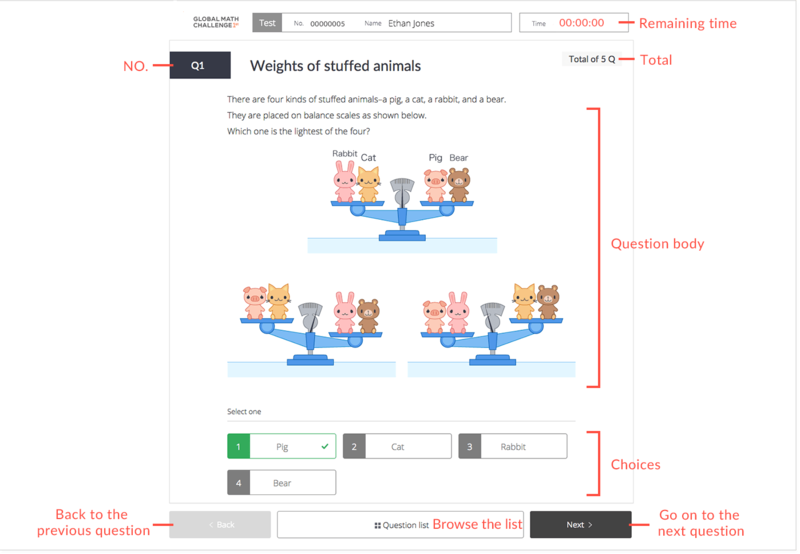 If you leave the browser mid-test you may loose the answers you have entered - it is also not possible to pause or stop the timer. You can however go back to the test page until the time limit has elapsed. Please click ‘Back’ button on the dialogue window if it pops up to return to the test page. For challengers entering from home.